How Big of a Hole Do You Need in a Subfloor for a Shower Drain? If you're installing a shower into a new area that doesn't have a current shower drain, you'll have to cut a new hole into the shower subfloor as a part of installation. All shower drains must meet state and local building code requirements, so always check to ensure your project is code compliant. Consult an experienced contractor if you need assistance with the installation. You need to cut a hole for the drain when installing a new shower. 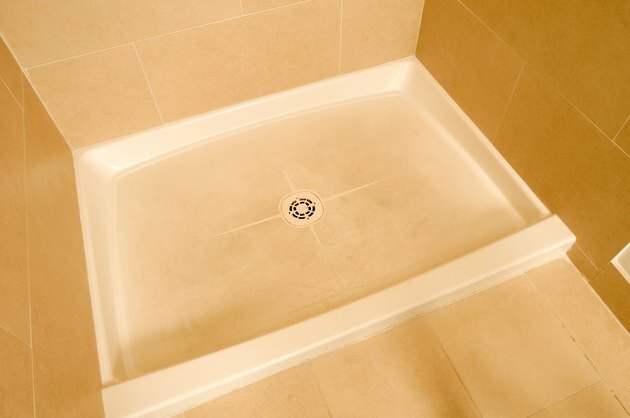 A shower drain consists of several connected parts that have to fit together and connect to the drain pipe that extends into the plywood subfloor underneath the shower. Before installing a drain, you should inspect the different drain parts along with the shower base to determine how they fit together. Remember that it's always easier to make a hole larger in a subfloor than it is to fix a hole you mistakenly cut too large. The size of the drain hole depends on the size of your shower's drain opening. 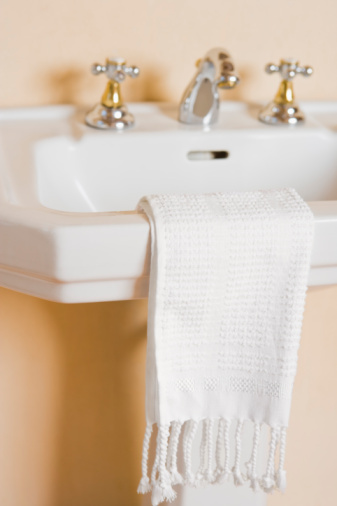 Most shower drains utilize a 2-inch pipe. This means the hole you cut into the subfloor should be slightly larger than 2 inches in diameter. However, your shower's drain body may require you to drill a larger hole in the subfloor. Check the manufacturer's instructions for the diameter of the drain body and cut the hole to the appropriate size. Cutting a hole into the subfloor requires you to know where the drain must go. If you're installing a preformed shower base, you must place the base to where it will be installed. This requires you to align it with the walls and ensure it is level. Once you've done this, you can mark the drain location with a pencil, drawing directly onto the subfloor. After removing the base you can then cut the hole with a keyhole saw, sabre saw or other tool that allows you to cut a circle. It's often a good idea to first cut the hole in the subfloor and then connect the drain without cementing it into place. Once you do this you can place the shower base into place to test if you've cut the hole in the right place. This way if the hole is in the wrong place you can more easily correct it than you could if you've already cemented the drain pipe into place.